According to Management Today, new GSK chief exec Andrew Witty has proposed that "instead of the existing seven large global centres, GSK’s hunt for new drugs should be tackled by many more, much smaller teams – a maximum of 80 scientists per group, in fact". "The new model is based on the assumption that smaller, more dispersed teams will naturally tend to pursue a broader portfolio of products. Each of them may be rather less lucrative than one of the old blockbusters – which are anyway getting much harder to find – but the damage caused by one of them failing will also be a lot less traumatic. Less of a roller-coaster, more of a gentle drive in the country." That makes sense, although I think there's something about the smaller number too. When I was an HR Director at Ernst & Young, we started to organise our audit teams into groups ('stables') of 50-80 too, in order to improve collaboration within teams. A group of 80 would include up to 10 managers and we felt that this was about the maximum number of people who could work well together, and through them, bring the full group of about 80 people together into a cohesive team. Dunbar's analysis may suggest we can network effectively with a slightly higher number of people that this, but I think for real, effective focus and team working, 80's about right. Theresa Welbourne at eepulse (see also Energize Engage) reports finding that relational capital (here defined as relationships with all stakeholders not just employees) is more important than human capital for building long-term competitive advantage in an organisation. Small firms appear to have already got this message - placing more value on relational capital than human capital in contrast to larger firms. And within both firm sizes, eepulse found it was relational capital that differentiated high from low performers. The graphic presents the overall level of relationships that firms support with different stakeholders (from 5 = devotes significant time / resources through to -5 = ignores these people). "You contract with humans: you constantly negotiate and renegotiate relationships. Relationships take more time to develop, and you must nurture then to keep them positive." "What does it mean for us as leaders? What would you do differently tomorrow if you were measuring relational capital with employees and other people working for the organisation, and if you were accountable for improving all of those relationships. Which ones would you have to work on first?" ie do we need to treat high potential employees more like key customers, temporary employees more like other employees etc? I've only just come across this research via Steve Roesler's All Things Workplace. “Meetings Around the World: The Impact of Collaboration on Business Performance”, published recently by Microsoft, Verizon and Frost & Sullivan, measured companies' “collaborativeness” through an index consisting of the quality (the nature and extent of collaboration that allows people to work together as well as an organisation’s culture and processes that encourage teamwork) and capability (an organisation’s orientation, infrastructure and technologies) of collaboration. The technologies referred to here include audio conferencing, web conferencing, e-mail, and instant messaging, and the report notes that an overwhelming proportion of respondents (9 to 1) believe that collaboration through communication technologies supports their productivity and provides a personal competitive advantage. On an organisational level, the research finds that collaboration is a key driver of profitability, profit growth and sales growth in companies around the world. In fact, the impact of collaboration is twice as significant as a company’s strategic orientation / aggressiveness in pursuing new market opportunities and five times as significant as the external market environment. I think this is a really important finding and although the research focuses very heavily on the use of technologies it would also seem to indicate that broader forms of collaboration might have similar levels of impact. The research also finds that whilst collaboration is consistently important across regions and verticle industries, there are regional differences in how people in various countries prefer to communicate with one another. American professionals enjoy working alone, and prefer to send e-mail rather than calling a person or leaving a voice mail message. Europeans thrive on teamwork and prefer to interact in real time with other people. Professionals in Asia-Pac want to be in touch constantly during the workday and find the phone to be an indispensable tool and prefer instant messaging to e-mail. The research notes that these differences highlight an opportunity for greater cultural understanding to improve collaborative efforts around the world. Yes, but I think this need relates to other activities to enable collaboration as well. Whether people prefer large-scale events, team meetings or one-to-ones will also vary by country, industry and probably organisation to organisation, and from team to team. And if the opportunity is as great as Microsoft et al suggest, these activities (whether they involve technology or not) are worth getting right. 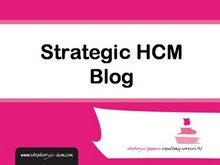 "HR is poised to become the Facebook of the modern corporation. Many knowledge-management initiatives have failed because employees weren’t inspired to use them. Yet the rise of social-networking sites points to a widespread desire to connect with others who share your goals and interests. HR is uniquely positioned to connect people—and therefore knowledge, expertise, and mentorship possibilities—across an organization. For instance, leadership-development program alumni can participate in annual reunions hosted by a firm’s top brass and serve as advisers to current program students. Follow-ups such as these—and the programs themselves—help build networks of people from disparate parts of the organization and with vastly different areas of expertise." I think the examples are a bit week, but I agree with the sentiment, the general importance of social networking, and HR's key role in making this happen. Organisation structure design is dead! This blog has recently been focusing on web / enterprise / HR 2.0 but the reason that I've called it 'The New Social Business' is that I want to focus much more widely on all the other non-technological factors and activities which are supporting and enabling major social changes in the workplace. So I was interested in an article in this month's Harvard Business Review on Managing Corporate Social Networks (Adam Kleinbaum and Michael Tushman). "Business-unit boundaries exist precisely because they create efficient structures for executing strategy. But silo focus and ruthless efficiency come at the cost of cross-divisional collaboration, so some innovation opportunities are either poorly executed or not seen at all." 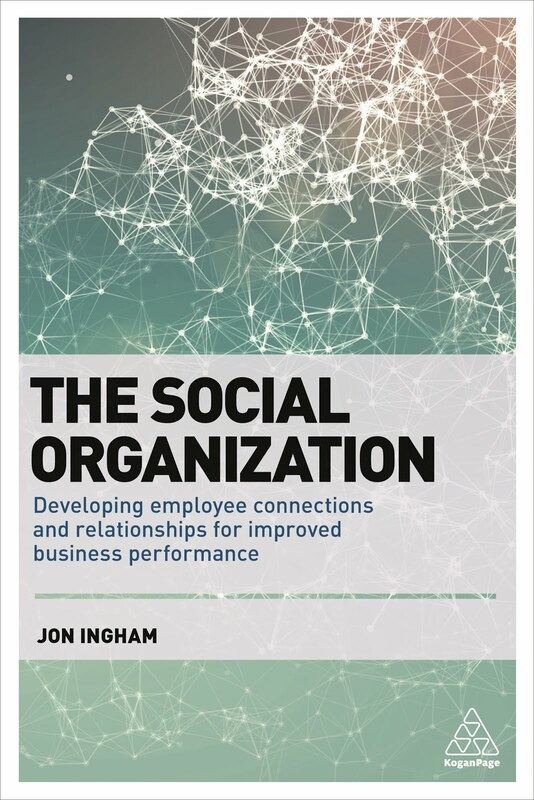 "The solution, we think, lies not in reorganization but in informal communication through the social networks that exist throughout the company. These networks must be shaped and cultivated to efficiently find and exploit innovations. Company executives shouldn’t expect informal, interdivisional networks to spontaneously produce innovations; they must consciously manage the structure of these networks to promote innovation at all its various stages." 1) the identification of 'idea brokers': people who maintain broad networks throughout the organization and are thus uniquely able to draw connections between—and recognize collaborative opportunities for—technologies, markets, or people that might otherwise never come into contact. This will help ensure that the organisation is able to discover new opportunities. 2) the development of strong cross-functional ties through the formation of dense webs of strong interpersonal relations. This will help ensure the organisation is able to mobilise the organisational support and resources necessary for execution. "You can encourage the former by systematically promoting serendipitous meetings between people from different parts of the organization at conferences, off-sites, and training programs. You can encourage the latter with executive rotation, broadening the experience of young executives as they forge new ties and bring their old ones to bear in new contexts." The analysis leads the authors towards an interesting conclusion: we should select people for important positions on the basis of not only their skills and prior experience but also the nature of their social networks. This is the way that we will become adept at deploying and overseeing informal networks that are required to proactively manage the transition between discovery of a collaborative opportunity and execution of a cross-divisional project. I'd like to add a tentative personal conclusion too. I've delivered lots of workshops and undertaken quite a bit of consultancy around organisation design. I usually take people through the various main design options in order to emphasise that they do have choice in different designs. And I still believe that they do - but I've yet to come across a situation where we've introduced for example a process based organisation. I suspect it's going to remain very rare for the benefits of this type of structure to outweigh the considerable costs. I think the choice is probably now much more on a micro rather than a macro scale. It will focus on relatively subtle options around different, mainly hierarchical organisation designs, rather than some of the more innovative alternatives. And instead, we'll provide some of our organisational requirements not through structure, process or job design but through the design and management of social networks. Organisation design is dead! Long live social network analysis! After having discussed the main business impacts of operating in the networked world, today's session then went on to explore the use of web 2.0 to support the changes that are necessary. "10 years ago meetings were about information exchange. Today, this can be done via technology meaning that meetings can focus on meaningful relationship building. Face to face is where firms can really make a difference and provide clients with key insights. The small number of minutes you get with clients are more import than this facetime ever used to be. The danger is that firms squander the opportunity by spending this precious resource doing things can be done in a more efficient way. Firms need to place a huge emphasis on improving the quality of conversation." My presentation focused on the different opportunities to use web 2.0 both internally and externally, for both connecting people, and collecting content (or connecting people with the content of other people). This morning, I spoke at an event on the impact of the networked world in professional services (with a fairly heavy emphasis on legal firms) organised by Winmark’s network for firm managing partners, NetworkMP (as well as some representatives from their Marketing Director and IT Director networks. The event was chaired by Phil Williams at Rocketseed. We started with a presentation by Phil Walker, VP at Capgemini, who talked about he main trends impacting professional services. One of these is that everything and everyone is connected (although this only applies to developed economies – 60% of the world still needs to be linked in). Relationships within the connected world are increasingly important and need to be nurtured – this requires person-to-person interaction as well as via a computer. Capgemini have introduced ‘talk to me on Friday’ - in which people who are in the building are encouraged to talk to each other rather than sending each other an email – and which has led to other networking activities for example, coffee clubs. Phil also noted that the move from product to service based economies means that professional services become more valued, but that people need to get good at service and selling, and that there is a need for continuous innovation. He explained that this provides opportunity for professional services firms at the top of ‘the pyramid’ (see explanation of the value triangle for HR on my HCM blog). Speaking later, Professor Richard Susskind from Gresham College argued for a rather different future in which clients’ demand for more for less leads firms towards one of two strategies (which are also explained in his new book, ‘The end of lawyers?’). The first is an efficiency strategy in which firms standardise, reuse and recycle what will have become commodity products in order to cut costs. The second strategy is a multi-sourcing approach in which high value work is decomposed into different tasks that can be sourced in different ways using an assembly line approach. So rather than asking whether work should be done within the firm or outsourced, the question becomes one of which of a dozen different sources should be used for different packages of work – research, due diligence, documentation review etc. And all of these sources are available on the internet. The legal firm is then left with the work that is genuinely high value / bespoke. Whereas the first strategy relies on hourly billing, the second lends itself to fixed fees. An example is Cisco’s general counsel who has contracted out most of their $120m of work and of which 86% of this is at fixed cost. All their commercial litigation has been given to one firm at fixed cost. How can any firm take this on? Well, the firm have responded with their own requirement to attend certain meetings, see certain documents – to have oversight of the 4 or 5 things that will reduce the chance of litigation to Cisco. Cisco is delighted with that approach as finally they feel they have a firm which cares as much about reducing risk as they do (rather than wanting to charge as many hours as possible if charging by the hour). The differences in Phil’s and Richard’s perspectives seemed to me to be bridged by the presentation made by Josh Bottomley, MD at Lexis Nexis UK. Recruitment and retention to access the very best people available to a firm. Use of Linkedin to support networking and connectivity is already mainstream and, supporting Phil Walker’s point, Josh explained that the differentiator is face-to-face communication and the soft skills required to be effective when looking people in the eye (see my HCM blog for a post on my emotional intelligence workshop – also delivered for NetworkMP). Client development – using technology to deliver new services, deliver more quickly and price work, particularly if delivering for a fixed fee. Research and knowledge – getting the right tacit and explicit information to the right people at the right time in the right format. Josh gave the example of Lexis Nexis’ new webinar service which they hadn’t seen as particularly attractive from a purely technical perspective but has really taken off. Practice and productivity management. Use of case management approaches (pre-populated forms, taking automatic action etc) is already standard. Less so is measuring effectively (eg for market share and margin rather than growth of business and revenue). Risk and compliance – and using this to strengthen the business rather than it being seen as a bureaucracy / something that will slow the business down. To me, it is by building a distinctive proposition and cascading it through these sort of processes that firms will avoid the need to Richard’s efficiency strategy, albeit with a degree of multi sourcing. And responding to Phil Williams’ question, Phil Walker argued that some clients are willing to pay for exclusivity (specialism, insight, genuine advice) rather than seek lower costs for ubiquity. An example is Bain’s commitment not to work for other organisations in same sector as one of its clients. Each of the presenters referred to the need to use technology to support the various approaches that were discussed, and Richard in particular raised mass collaboration and social networking (wikipedia, facebook and their professional equivalents) as one of a number of disruptive technologies enabling and requiring major changes by firms. I'll provide the slides I used to describe what I see as the opportunities for web 2.0 tools in the networked world in my next post. I hope the other speakers and delegates will add their own views and perspectives on the event. Please either comment (click where it says 'x comments' below), or I'd be very happy for you to guest post (I can send you details on how to do this) - in the spirit of web 2.0 that I discussed today, this posting wouldn't be moderated, so you can be as enthusiastic or as critical as you would like! ).